Saturday in Sarasota they’re holding the national commemoration of Patriot Plaza. 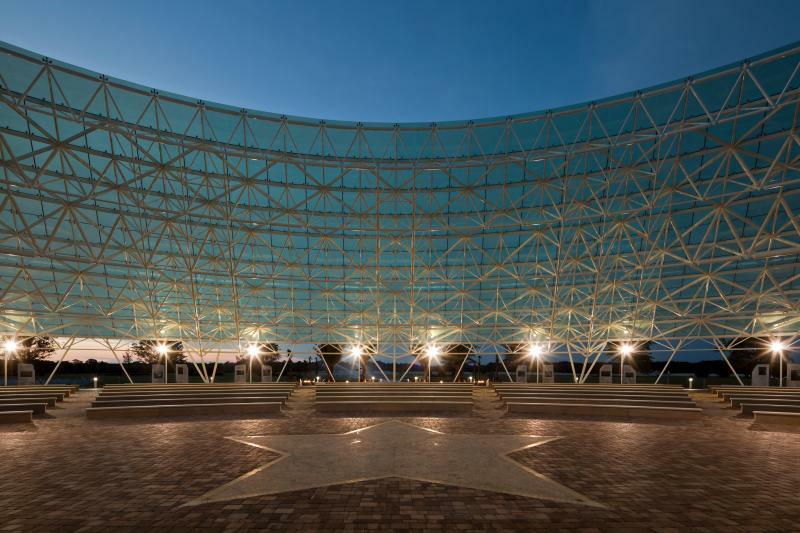 It’s the 2800 seat amphitheater and art installation built to honor veterans and their families at Sarasota National Cemetery. The keynote speaker for the capstone event is best-selling author Wes Moore – a former paratrooper and veteran of the Afghanistan War. His book is titled “The Other Wes Moore.” He wrote it after discovering another young man by the same name, from the same city, with a similar background and about the same age. But instead of receiving a Rhodes Scholarship like he did, the other Wes Moore was sentenced to life in prison for murder. 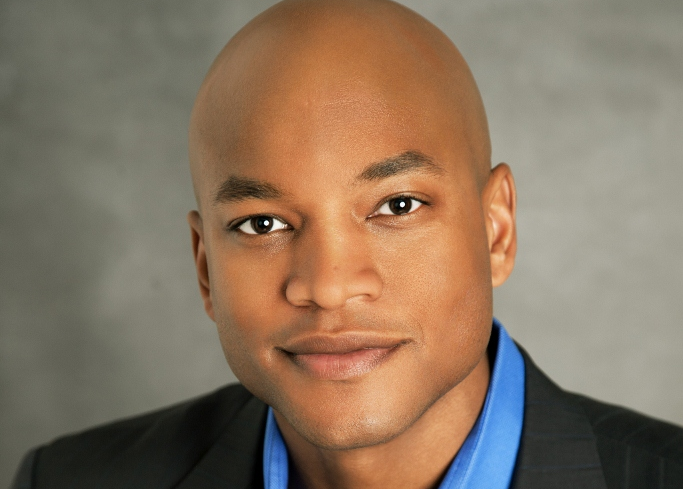 Army combat veteran Wes Moore is a New York Times bestselling author, executive producer for the PBS Series "Coming Back with Wes Moore," and the keynote speaker commemorating Sarasota's Patriot Plaza. He wanted to know why their similar lives were so divergent. Curiosity led the decorated combat veteran and White House Fellow to reach out to his Doppelganger. Their correspondence became the backbone for his book. And he said the best way to honor veterans is to do the same thing, reach out and ask about their individual stories. “Often times what ends up happening in the fear of saying something incorrect, you end up saying nothing. No conversation takes place but the interpretation in the veterans’ community is that you don’t care,” Moore said. That’s why he became executive producer of the PBS series “Coming Back with Wes Moore” – to tell some of the stories of struggle and success as wounded veterans work to find a new mission in civilian life. The three part series, currently being broadcast on WUSF-TV, Channel 16, at 10 p.m. Sundays, shows how some veterans fight through physical pain and emotional setbacks. And he told WUSF that veterans want to make a difference. That’s the message that Moore will deliver Saturday at Patriot Plaza. He’s excited about revisiting the artwork there because it triggers an emotional response – that’s different for every individual. The Patriot Plaza Celebrate Service & Sacrifice ceremony is scheduled at 2 p.m. and includes a speech by Jane Chu, chairman of the National Endowment for the Arts, the West Point Band and Moore. It’s free and open to the public, however, registration is required. The WUSF Veterans Coming Home project also will be there as part of the Veterans Legacy Summit “Legacy Zone” at Patriot Plaza from 12:30-4:30 p.m. No registration is required. Stop by and see us. WUSF Veterans Coming Home is made possible by a grant from the Corporation for Public Broadcasting. 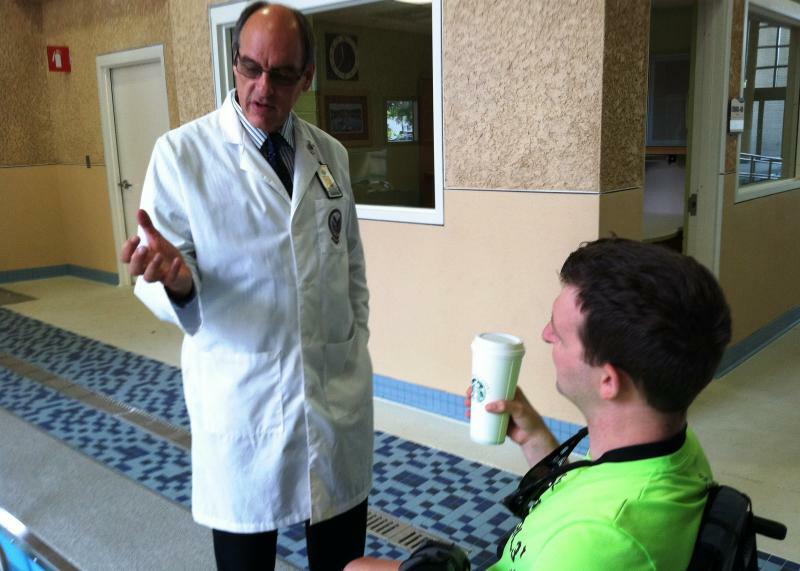 Army Ranger Cory Remsburg returns each year to James A. Haley VA Hospital in Tampa to show the staff his progress. He was severely injured in 2009 and spent two years recovering at Haley’s Polytrauma Center. 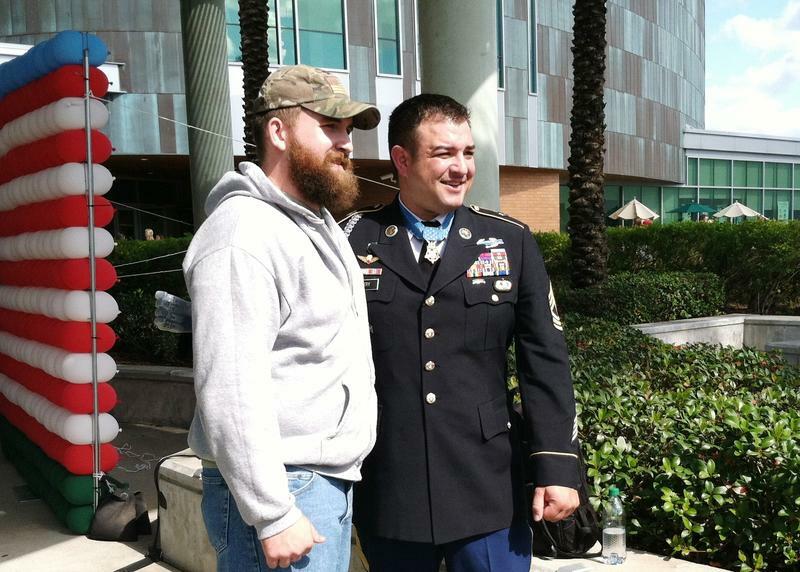 Remsburg was on his tenth deployment when he was injured by an IED in Afghanistan. His teammates found him face down in a water-filled canal with shrapnel in his brain. He was in a coma when he arrived at the Haley. More than 800 patients have come through the polytrauma system according to Haley Chief of Staff Dr. Edward Cutolo, but he remembers Remsburg. Living Medal of Honor recipients are somewhat rare. There are only 79 living out of nearly 3,500 recipients since the highest military honor was created during the Civil War. So, it was no surprise that 200 students, veterans and members of the public came out to hear Medal of Honor recipient Master Sergeant (Ret.) Leroy Petry deliver the keynote address at the University of South Florida Veterans Day Ceremony in Tampa. Problems with veterans’ health care and benefits have dominated recent headlines. But there is one section at the Department of Veterans Affairs that ranks first in customer satisfaction over both private-sector companies and other federal agencies. That’s a point VA Secretary Bob McDonald was quick to point out when he visited Florida earlier this month. The National Cemetery Administration (NCA) is ranked first in the American Customer Satisfaction Index.